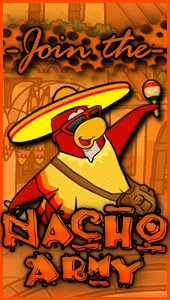 The Nacho Army will be gone tomorrow so this is my last post ever. Goodbye, Nacho Army. Continue reading for the entire post. 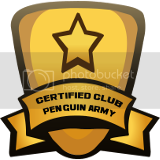 Chrisi’s Edit: But Club Penguin is still available?? So uh, where is it? Hola Nachos! It’s me, Till Wurner, Pony Eee, whatever else you know me by, here to report the *final* event (that was tactic based. We’re still having a party tomorrow.) *sniff* We stayed on for OVER AN HOUR and lived it up on multiple servers. I think it’s safe to say we’re all seriously going to miss this game in the end, whether you’re a vet, a troop, a former owner, a legend, or a Will-Turner-Obsessed freak of nature like myself. I’m not crying, you’re crying! We finished the event the same way we start them-with War Faces. We started out on Blizzard, but it was wayyyyy to crowded. Then we moved to Fjord, where LT got salty and bot raided us. Because despite the game ending in two days, they’re still bitter over losing the legends cup. What children, am I right? Afterwards, we moved to Flurry where we took pictures in the Pizza Parlor, hung out at the iceberg, and lived it up at the Stadium. It was a super fun event and I’m glad we could all round up for one last one. I’m gonna try and not make this post emotional, because we’re gonna have lots of sob fests to come. Anyway, continue reading for pictures. There are A LOT of pictures, I tried to get at least one from everyone in. If I missed someone, I apologize. Today’s edition of this CP Cheats series will be another music post, this time of the music in the Box Dimension! Over the past few weeks, several legends have been working towards documenting the Nacho History from A to Z. I’m happy to present a sneak preview of the complete years, and hopefully this will give you more insight to this grand army’s humble beginnings. It seems during several discussions on the greatest armies ever, the Nachos have been overlooked because of a “slow” start. However, I can guarantee it was anything less than that. I hope you enjoy! 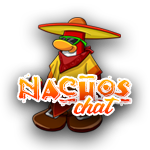 I made some nacho edits and cutouts, because why not??? There might be stuff added to this if I make more. Filed under: The Nacho Army |	Enter your password to view comments.